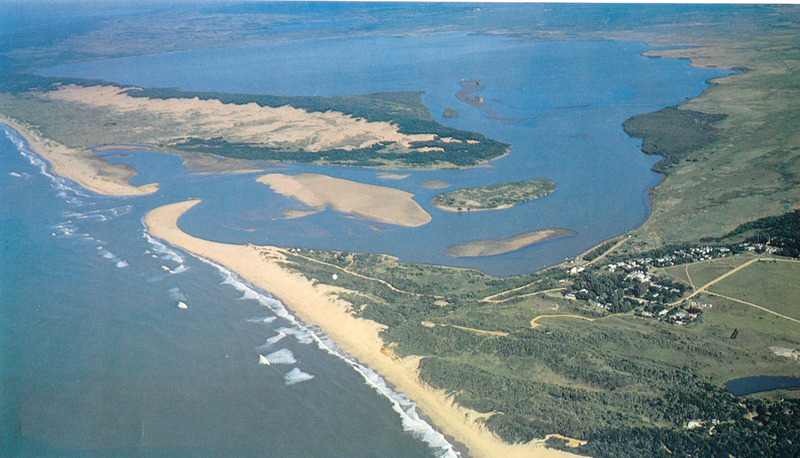 Richards Bay identified as ideal port location following feasibility studies, due to its natural lagoon and proximity to coal mines and related infrastructure. Transvaal Coal Owners Association awarded contract with Japanese steel mills for 27 Mt of coal over 10 years. 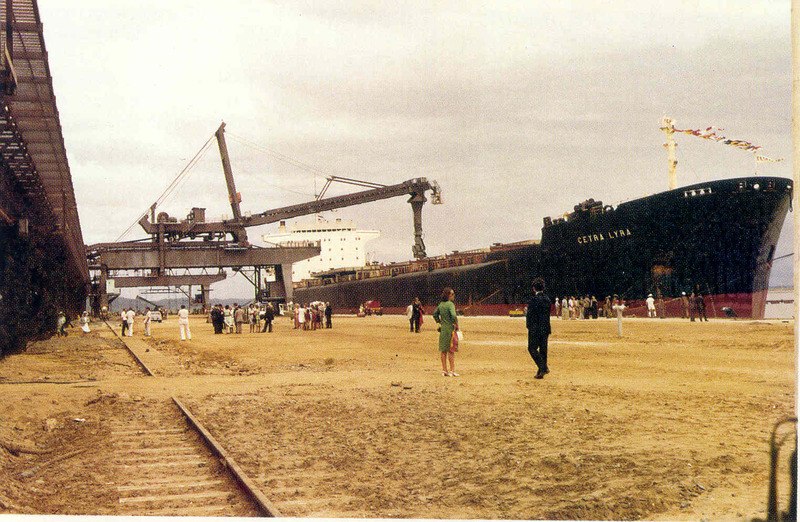 Port of Richards Bay officially opened on 1 April. 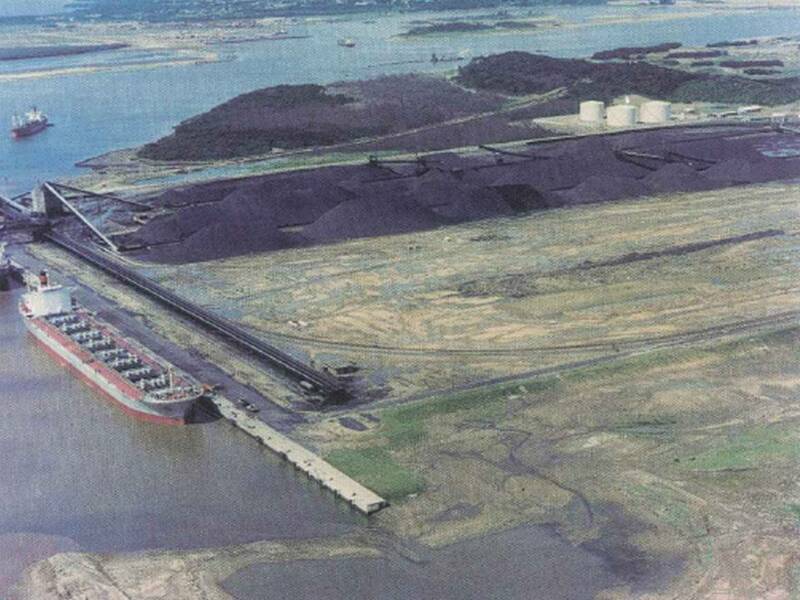 Richards Bay Coal Terminal begins exports with Phase 1 at a capacity of 12 million tons per annum (Mt/a). 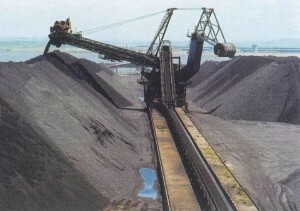 – TCOA had an agreement to supply 27 million tons of coal over 10 years to Japanese steel industry. – On reclaimed land, the port had a depth of 1.5 – 2m; after dredging the channel , depth increased to 22m. – Size of RBCT: 276ha. – Ships allowed to load to 17.5m. – On the yard: Tippler 1, SR 1, SR 2, berm wall, random tippler (1 truck only) and Ingo 1 Sampling Tower. – Construction of New Mouth and tidal gate, redirection of river. Phase V Expansion commences in September, taking terminal capacity to 91 million tons per annum. 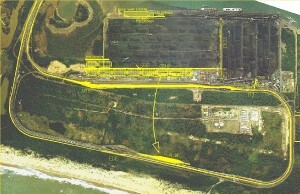 As of 1 January 2008, official design capacity of the terminal increases to 76 million tons per annum.